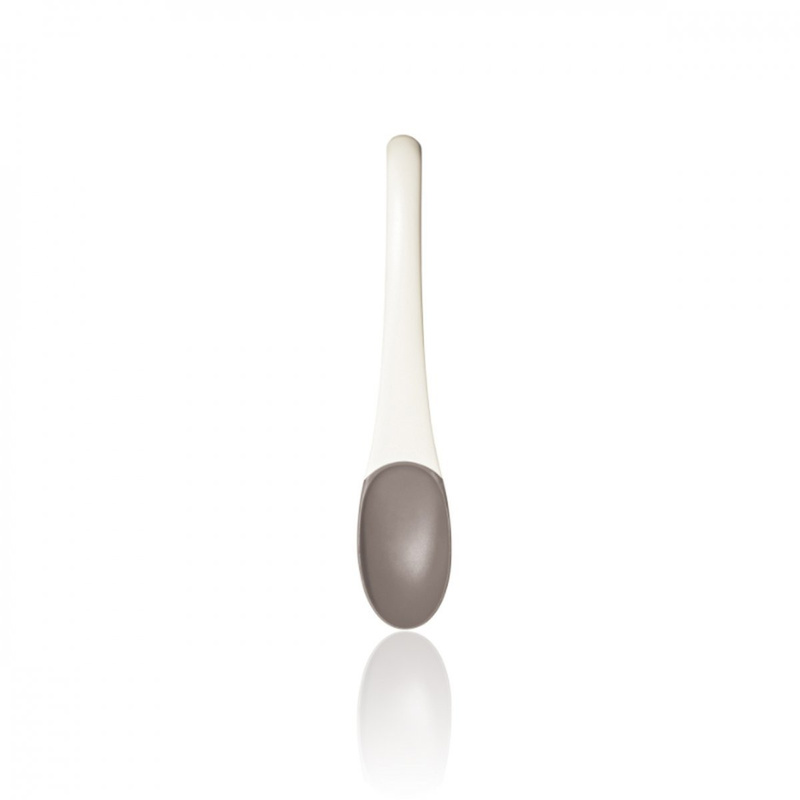 The set of 5 Attraction magnetic serving spoons are definitely one of the most original creations by well-known brand Viceversa, renowned for its devotion to the kitchen. 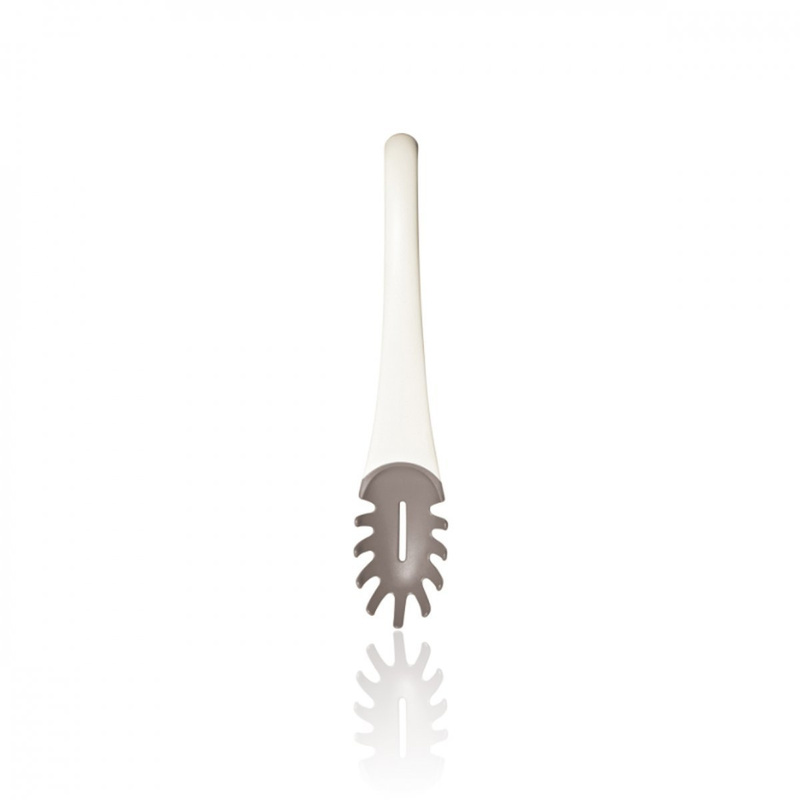 This simple, useful and stylish object flaunts an extremely high-end design to enhance your place of eating. 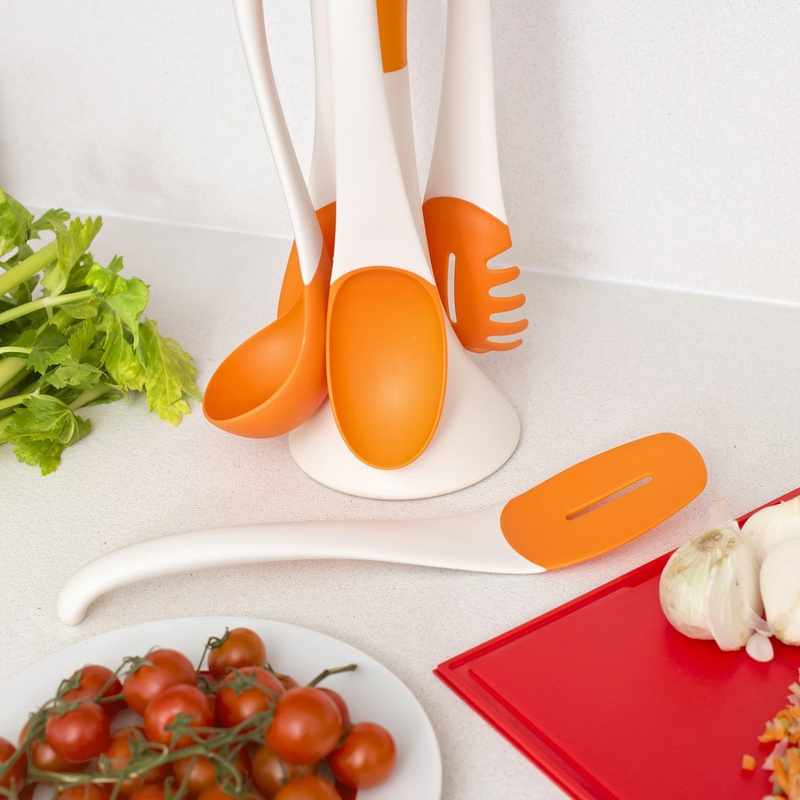 This set of magnetic serving spoons includes a ladle, a spaghetti server, a large spoon, a spatula and a classic perforated spoon, as well as the stylish stand which holds the items in question. 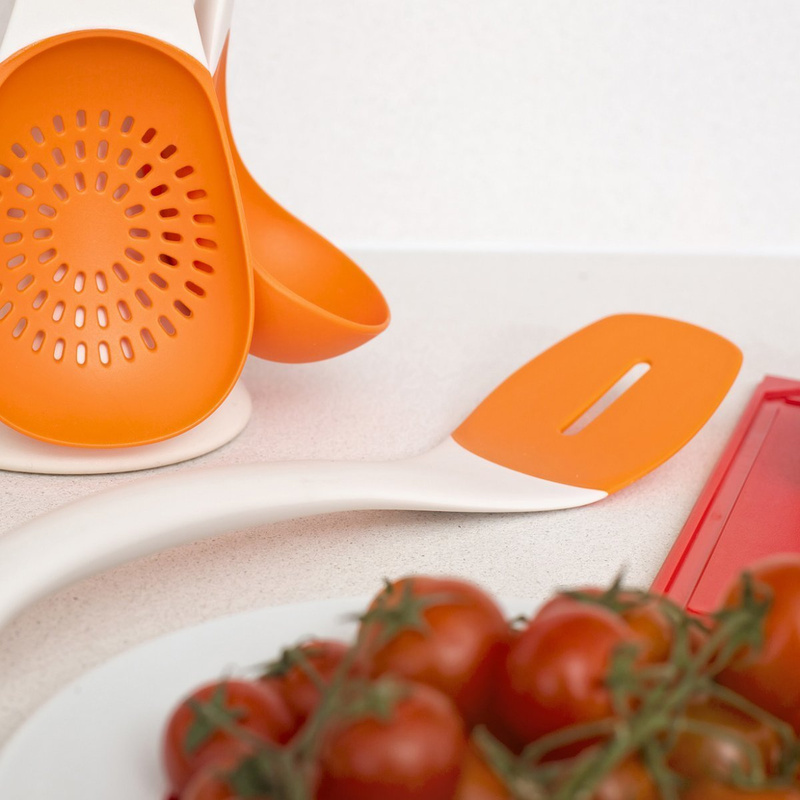 Viceversa set out to go beyond the classic countertop system. The set of 5 Attraction serving spoons, after all, is magnetic, as all you need to do is touch them to the top of the stand and they’ll stay in place. 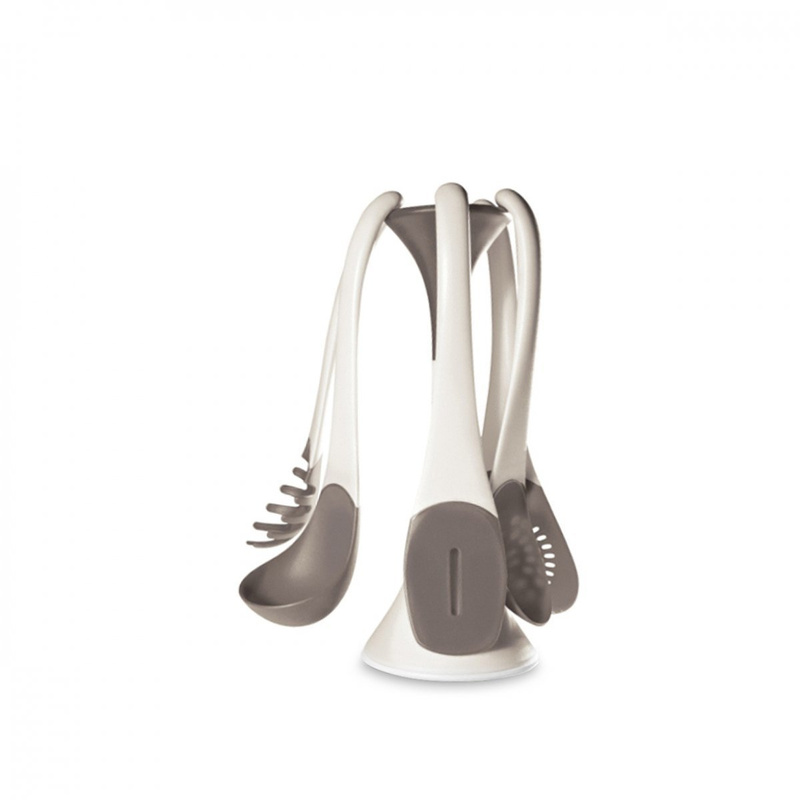 This feature, in addition to being out of the ordinary and very practical, is also intriguing in terms of design: the serving spoons look as if they are hanging, and this contributes greatly to the outside-the-box style of such a fashionable piece. Soft and sinuous shapes characterize the set of 5 Attraction magnetic serving spoons and its stand. 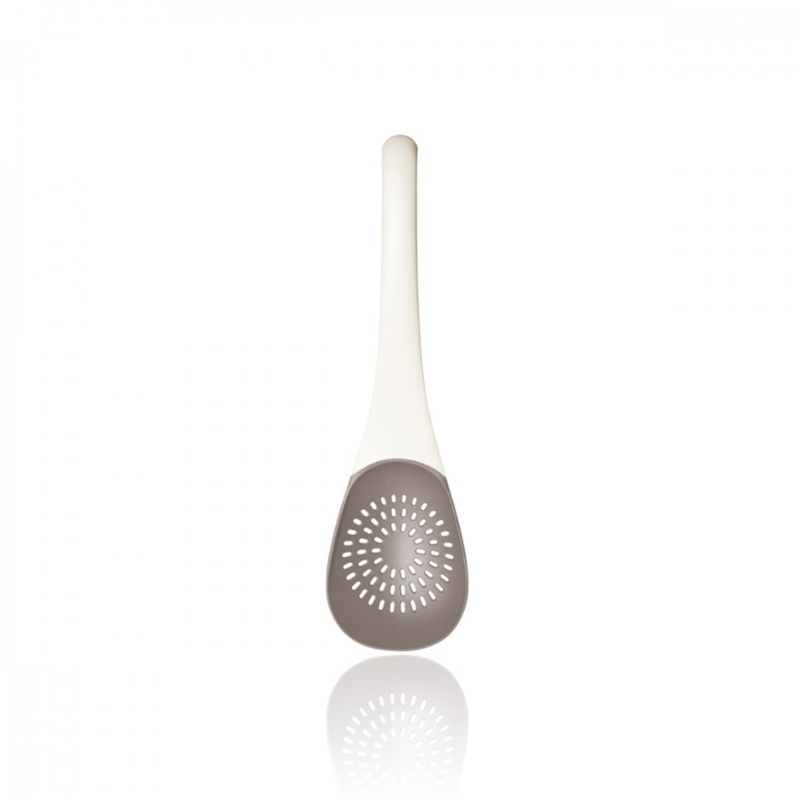 The spoons and stand are made of nylon resistant in temperatures up to 210 °C, and can be easily washed in the dishwasher. The set of 5 Attraction magnetic serving spoons are actually really quite the treat for the kitchen. This set as a whole ensures great practicality and comfort, is very durable and also is rather easy on the eyes. An article of this type can be a wonderful gift idea: not only is it original and aesthetically pleasing, but it will also find wide use in everyday life. Info: scratch resistant non-stick ceramic cookware. Comes with gift box. Winner of the Red Dot Award 2012 award. Since 1983, Viceversa has always stood out for an innovative style, disrespectful of rules: an original and ironic point of view on everyday life. Viceversa is the overturning of the obvious, of what may seem evident at first sight: it is what comes to mind when you observe things by another perspective.